On Tuesday, an Indiana lawmaker introduced new Indy Eleven stadium legislation that would designate the project’s site as a professional sports development area. USL Championship’s Indy Eleven made a major announcement last week, when it unveiled a proposed new stadium that would be constructed as part of the larger Eleven Park development. 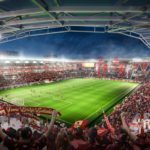 Though the club has not announced a site for the project, the current vision calls for a new 20,000-seat, multi-purpose stadium that would be surrounded by private development, including roughly 150,00 square feet of office space, 100,000 square feet of retail, 600 apartment units, and a 200-room boutique hotel. The PSDA could capture up to $11 million in tax revenue per year for 32 years—money that would be paid by the businesses, residents and even athletes living or working at Eleven Park. That revenue would be diverted to the Capital Improvement Board—which would own the 20,000-seat stadium, but not the private development surrounding it—for the purpose of paying for the public infrastructure. 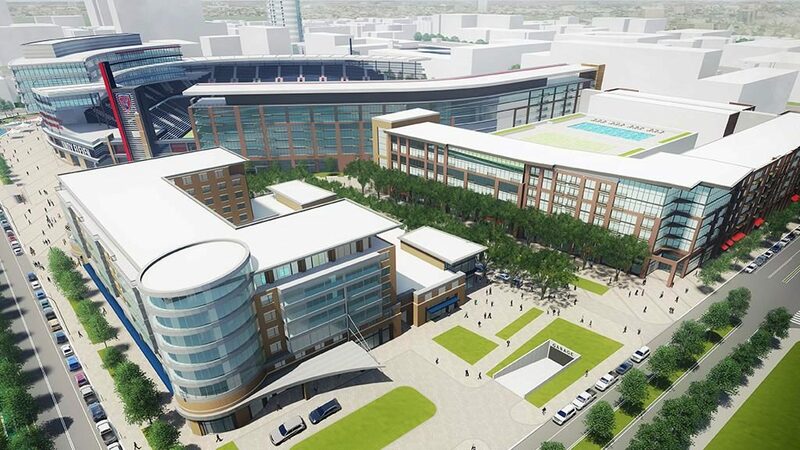 Initially, the stadium and the rest of the public development (including a plaza and underground parking garages) would be paid for using city-issued, developer backed bonds, with any funding gaps in financing covered by Indy Eleven’s ownership group. Because [Indy Eleven owner and developer Ersal] Ozdemir has not yet said where it plans to place the development—though multiple sites have been discussed by those familiar with the team’s plans—the legislation does not lock in a location for the PSDA. The legislation was sent to the Senate Appropriations Committee. It is anticipated that the new stadium would cost $150 million, with the total Eleven Park development coming in at $550 million. Indy Eleven, which has unsuccessfully proposed new stadiums in the recent past as part of MLS expansion efforts, currently plays home games at downtown Indianapolis’ Lucas Oil Field–home of the NFL’s Colts.